Introducing E-MetroTel’s IP PBX UCx IP phone System. 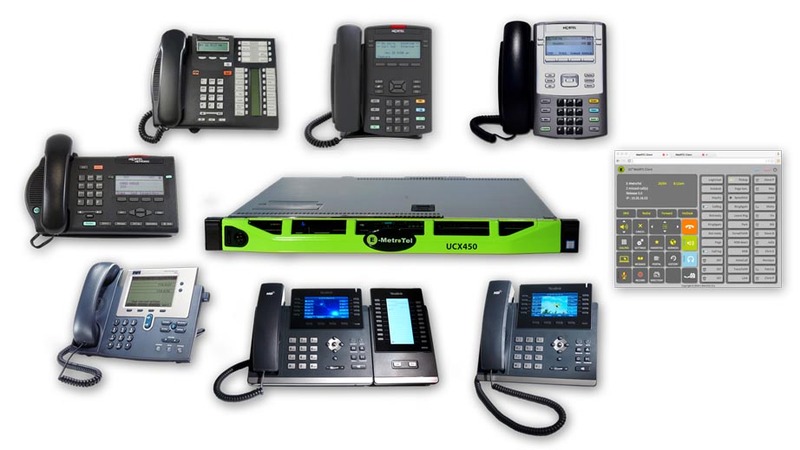 UCx IP PBX supports Analog, Digital and VoIP phones — in any combination. On Premise or in the Cloud IP PBX! Every UCx IP PBX appliance, or Enterprise software versions include one-year: warranty, Unlimited Software Support, Updates and Upgrades. Delivering the latest IP PBX Unified Communication features such as integrated mobility, Home working, Call Recording, Meet-Me Conferencing including support for SIP compliant telephones and cost effective SIP trunks. With it’s built-in support for Nortel Heritage IP & Digital phones it is the perfect cost effective upgrade for the many installed Nortel systems. UCx IP PBX is ‘Exceptional at saving you money’, don’t buy another communication system for your office without looking at UCx first. Businesses today need to save money and do more with less. E-MetroTel’s UCx range of communications systems are a cost effective solution for your business. Supporting a wide array of business features, new SIP compliant devices, SIP trunks AND Nortel heritage IP & Digital phones, there is a fit for all small and medium business requirements. Also UCx is a cost-effective next-generation Nortel Norstar, BCM, SCS500, M-1 and CS 1000 PBX replacement solution, supporting both IP and traditional digital & analog technologies simultaneously, making your migration to SIP based VoIP deployment that much easier. It also means you can start benefiting from the latest technologies while leveraging your existing investments. Increasingly, companies have started adopting a pure IP model with SIP trunking. However, many companies still require a mix of analog, digital and IP stations as well as TDM trunking options. E-MetroTel UCx has been designed keeping in mind these different solution requirements for different customer needs. The flexibility and choice of deployment options makes the UCx solution a very flexible solution to serve different needs.